Nevada 146 is Saint Rose Parkway, which connects Interstate 15 south of the metropolitan area with Interstate 215. 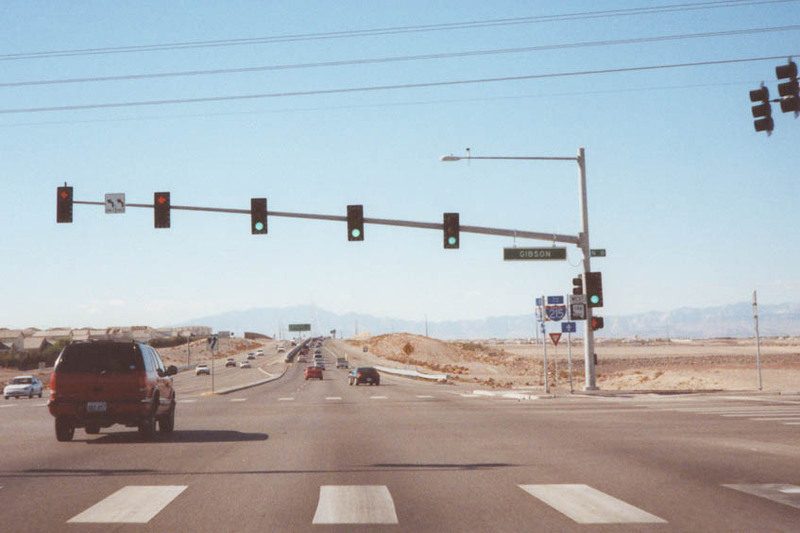 Prior to 2002, Nevada 146 continued east, cosigned with Interstate 215 to connect with Interstate 515. Nevada 146 used to continue along Lake Mead Drive to connect with Lake Mead National Recreation Area, but that segment of Nevada 146 east of Interstate 515 is now Nevada 564. 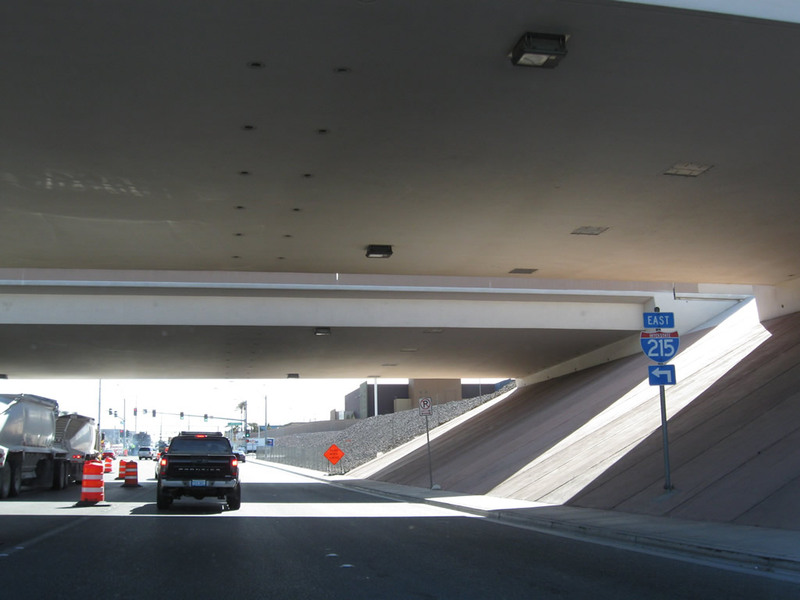 Officially, Nevada 146 ends at Interstate 215, but some shields from when it was cosigned may remain on the concurrent stretch with Interstate 215. Traveling south on Pecos Road is this advance sign for the interchange with Interstate 215/Las Vegas (Bruce Woodbury) Beltway. 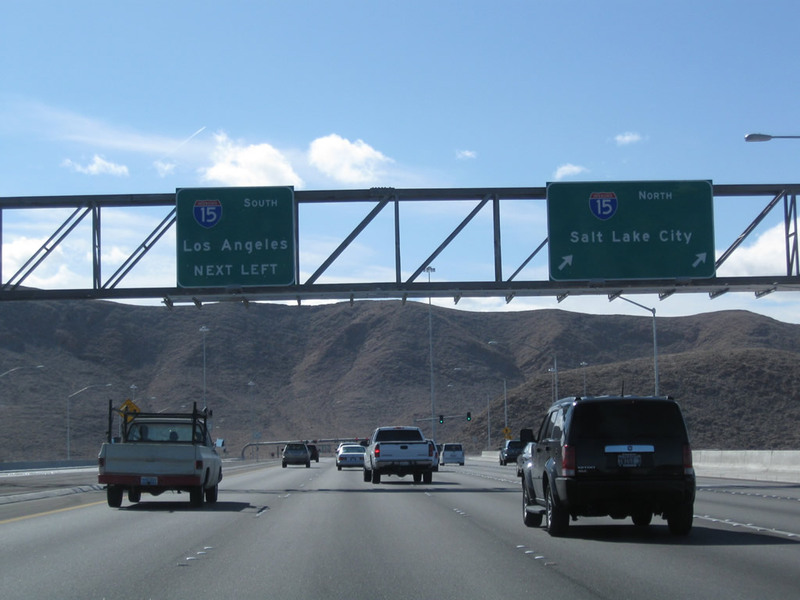 To Interstate 215 west, stay right; to Interstate 215 east, stay left. Photo taken 02/21/10. 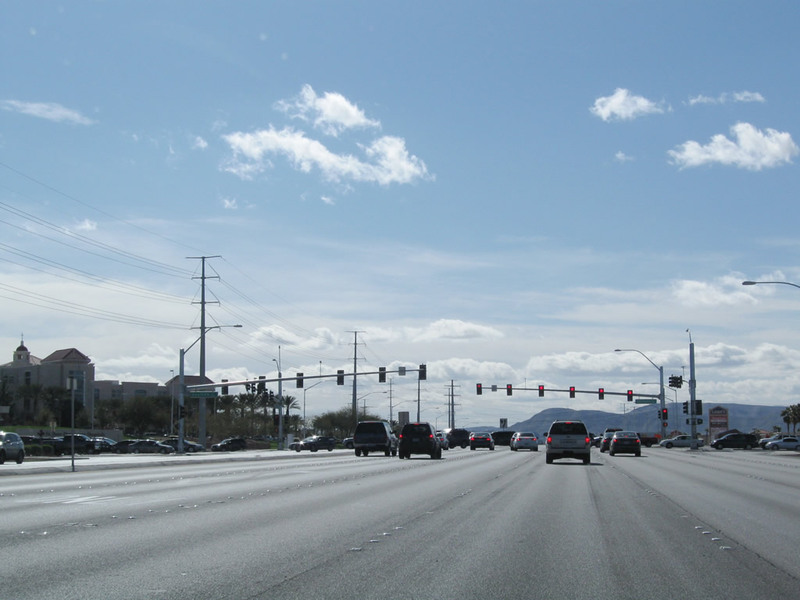 Southbound Pecos Road meets Interstate 215/Las Vegas (Bruce Woodbury) Beltway west, which travels west to Las Vegas Boulevard, Interstate 15, and all points in the west valley (including Summerlin) via Clark County Route 215. Photo taken 02/21/10. 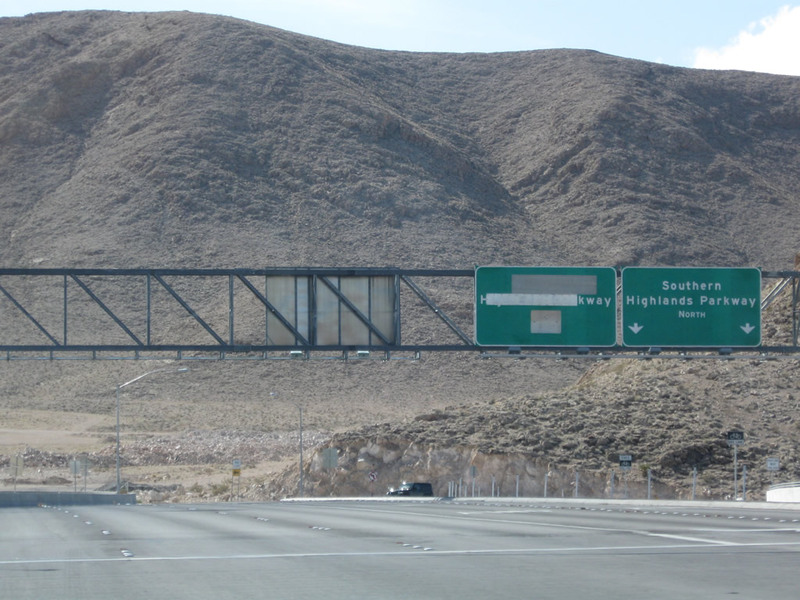 Nevada 146 begins as we pass under Interstate 215; the street names change from Pecos Road to St. Rose Parkway. At this point, the state route changes from southbound to southwestbound. The next left connects Nevada 146 south to Interstate 215/Las Vegas (Bruce Woodbury) Beltway east to Henderson and Boulder City via Interstate 515 and U.S. 93-95. Photo taken 02/21/10. 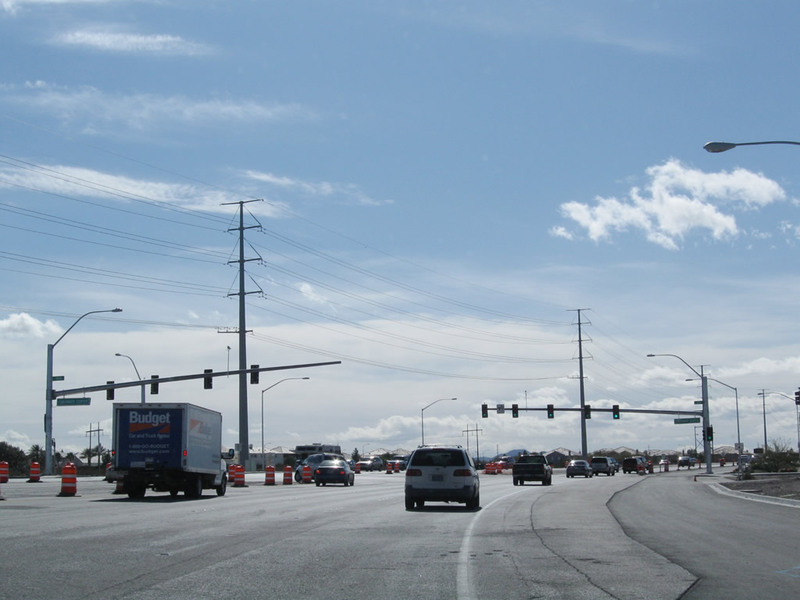 Nevada 146 will widen to four westbound lanes after this traffic signal, which connects to Interstate 215 east. 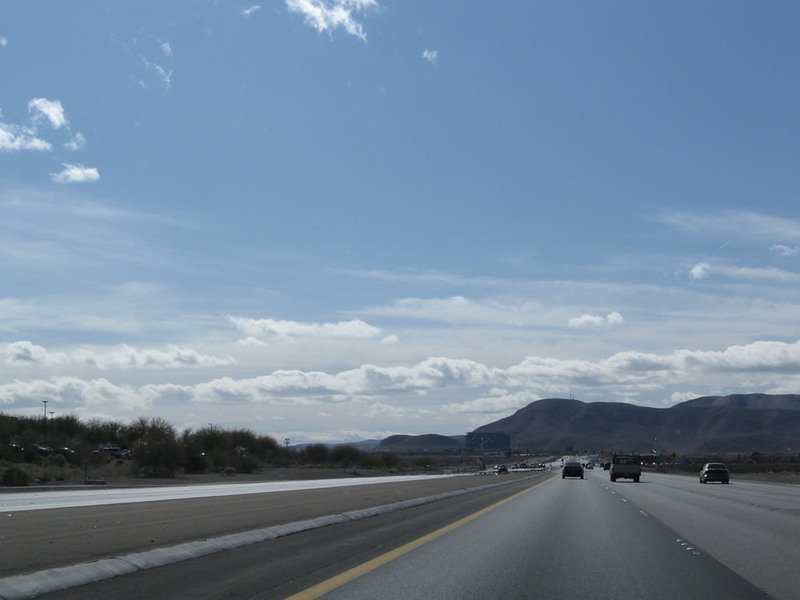 Prior to the completion of Interstate 215, Nevada 146 used to share alignment with the beltway, then follow Nevada 564 east to Lake Mead National Recreation Area. Photo taken 02/21/10. Westbound Nevada 146/St. Rose Parkway approaches the traffic signal for Coronado Center. Photo taken 02/21/10. Nevada 146/St. Rose Parkway next approaches Eastern Avenue at the next traffic signal. Photo taken 02/21/10. Westbound Nevada 146 approaches Jeffreys Street at the next traffic signal. Photo taken 02/21/10. Westbound Nevada 146 meets Spencer Street and Seven Hills Parkway at this intersection. Photo taken 02/21/10. 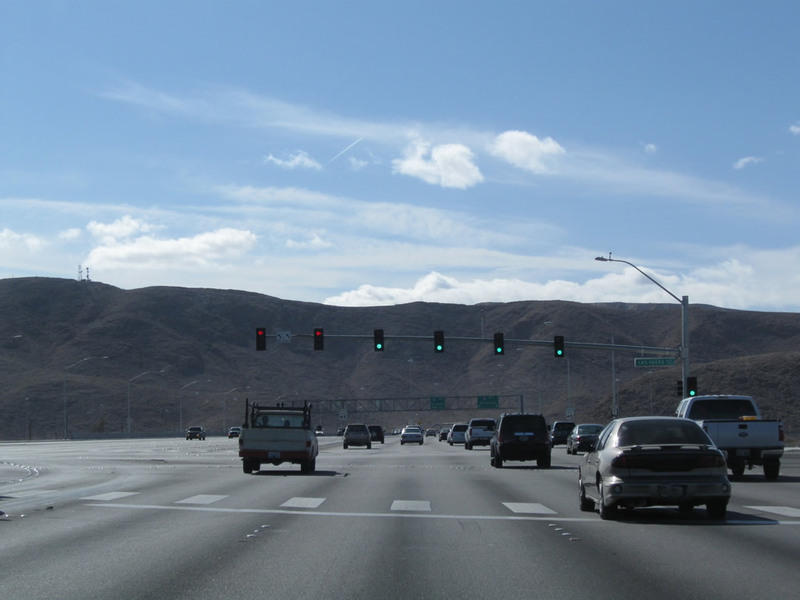 Nevada 146 carries four through lanes in each direction plus auxiliary turn lanes. Photo taken 02/21/10. Westbound Nevada 146 meets Bowes Avenue at this traffic signal. Photo taken 02/21/10. The M Resort-Spa-Casino is located on the south side of Nevada 146 prior to the intersection with Las Vegas Boulevard (former Nevada 604). Photo taken 02/21/10. 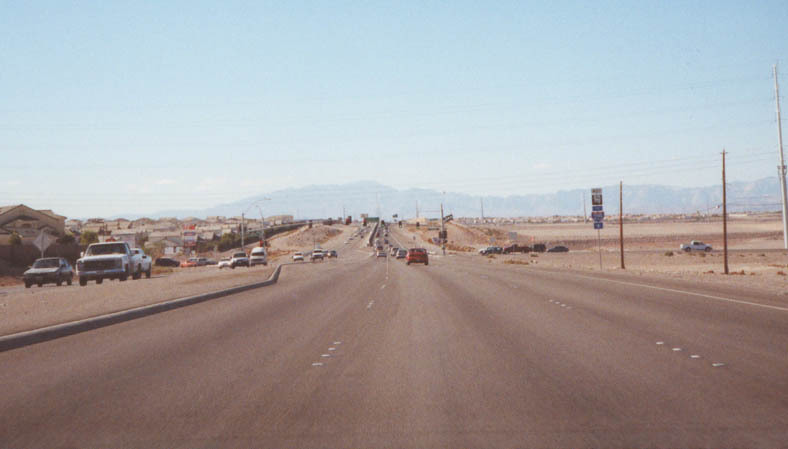 Westbound Nevada 146 meets Las Vegas Boulevard (Former U.S. 91-466). Turn right here to follow Las Vegas Boulevard north toward the Las Vegas Strip. Photo taken 02/21/10. 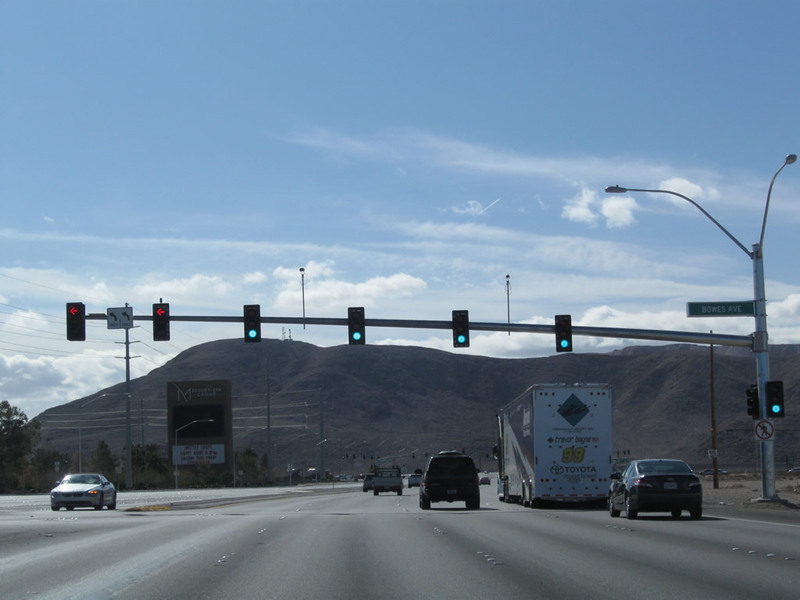 After the Las Vegas Boulevard intersection, westbound Nevada 146 approaches its interchange with Interstate 15 (a single-point, urban interchange or SPUI). 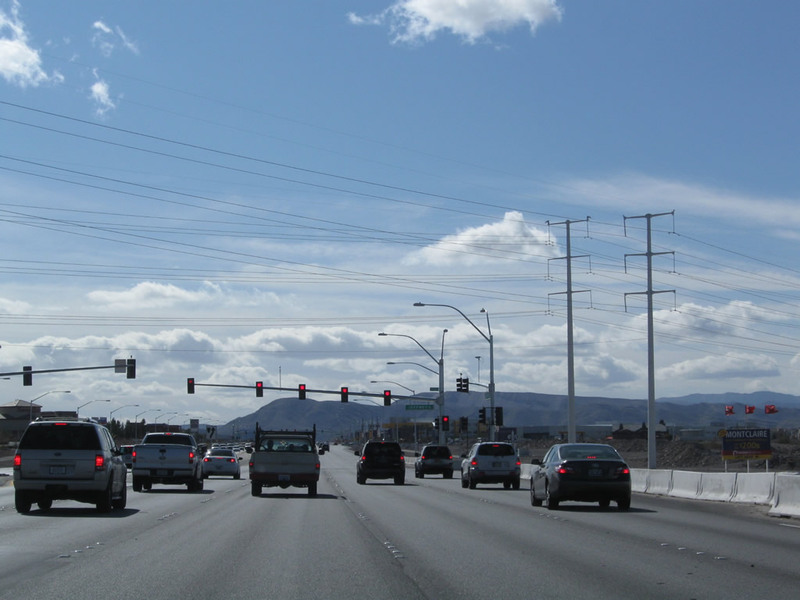 The next right connects to Interstate 15 north to downtown Las Vegas, Mesquite, St. George, and Salt Lake City. Stay left for Interstate 15 south to Barstow and Los Angeles. Photo taken 02/21/10. The next left connects Nevada 146 west with Interstate 15 south. 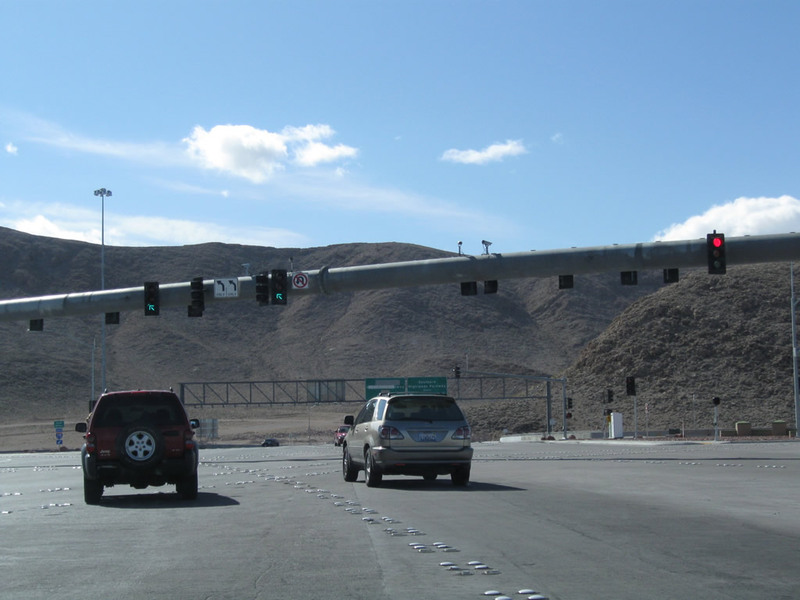 This interchange marks the western terminus of Nevada 146. Photo taken 02/21/10. 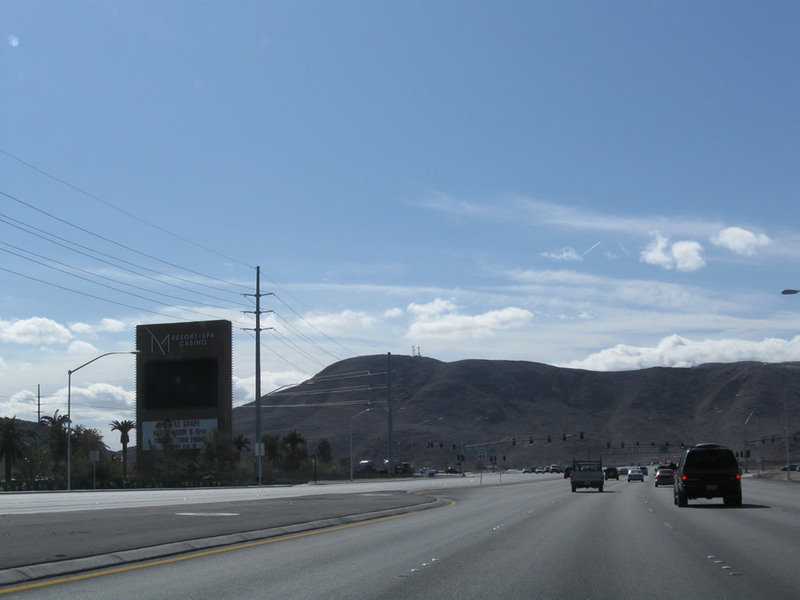 After the Interstate 15 interchange, an overhead sign points the way to Southern Highlands Parkway north, which serves a new residential community on the west side of Interstate 15 north of St. Rose Parkway. 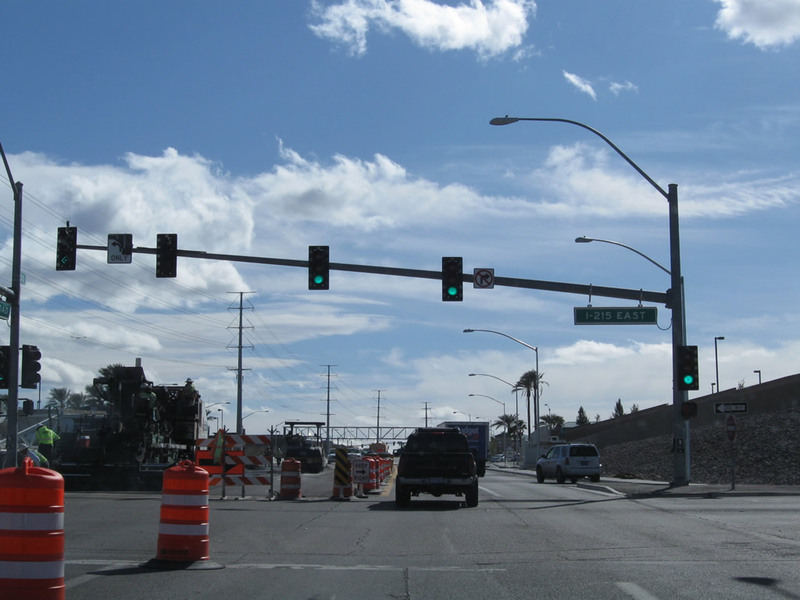 North of Cactus Avenue, Southern Highlands Parkway changes into Decatur Boulevard northbound. Photo taken 02/21/10. 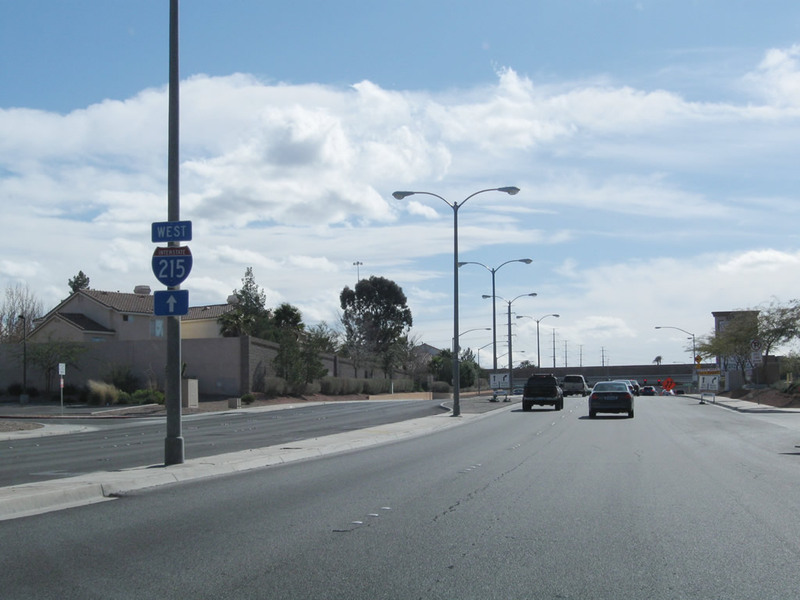 This series of photos show the former section of Nevada 146 (Lake Mead Drive) between Interstate 515 and Stephanie Street. This section is all part of Interstate 215 today. 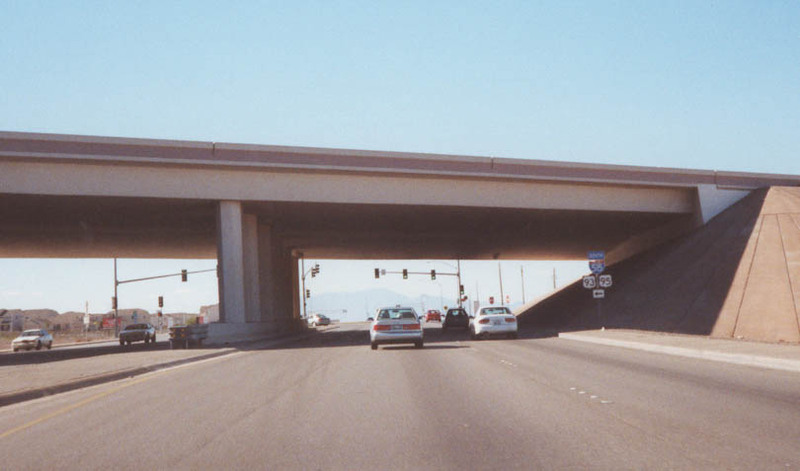 Former Nevada 146 west (now Nevada 564 west) used to meet Interstate 515 at this overpass; today, this area is the location of the Interstate 215/515 interchange. Photo taken 11/12/00. 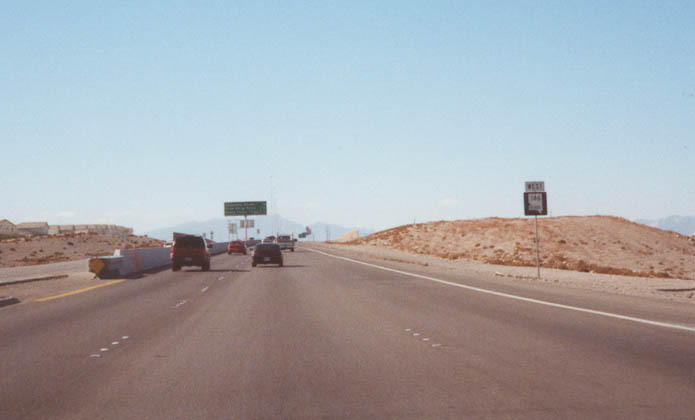 This view shows former Nevada 146/Lake Mead Drive west approaching the Interstate 215 freeway between Interstate 515 and Gibson Road. Photo taken 11/12/00. 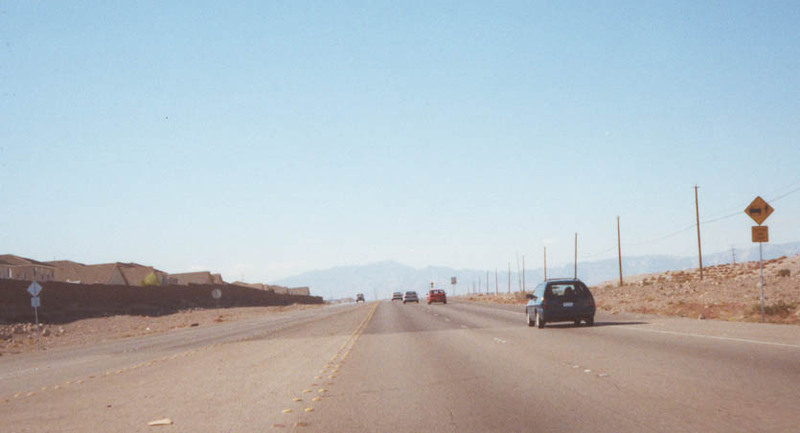 Prior to the completion of the Interstate 215 freeway, this view showed former Nevada 146 west approaching Gibson Road. The beginnings of the limited access freeway that becomes Interstate 215 is visible just beyond the Gibson Road traffic light. Photo taken 11/12/00. 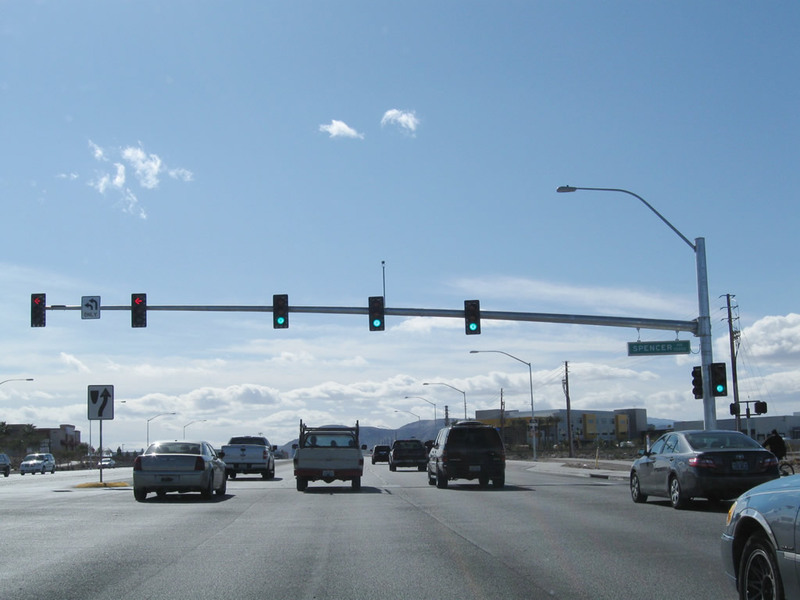 Former Nevada 146 used to meet Gibson Road at this traffic signal, which was eliminated once Interstate 215 was connected directly to Interstate 515. Photo taken 11/12/00. 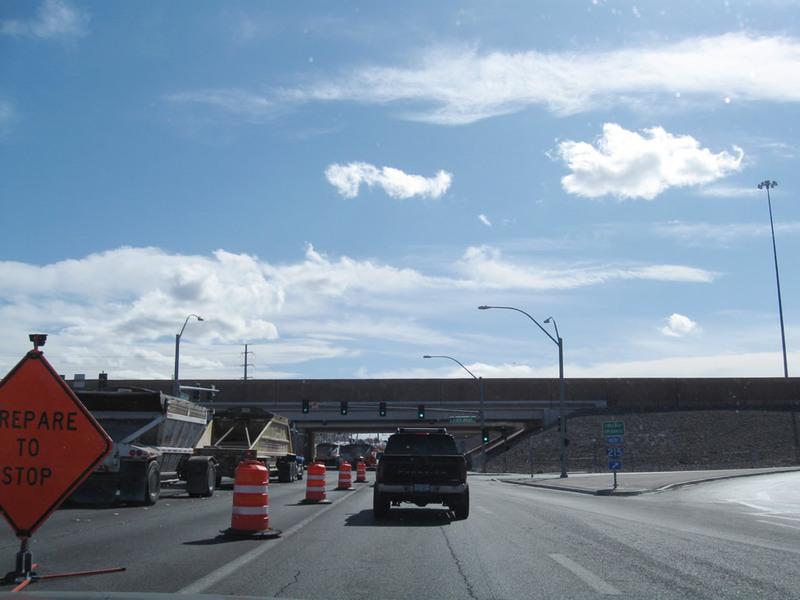 A final view shows former Nevada 146 west after the former Gibson Road interchange as Lake Mead Drive transitioned directly onto Interstate 215 westbound. Photo taken 11/12/00. Page Updated March 1, 2010.